I had been looking forward to this day. 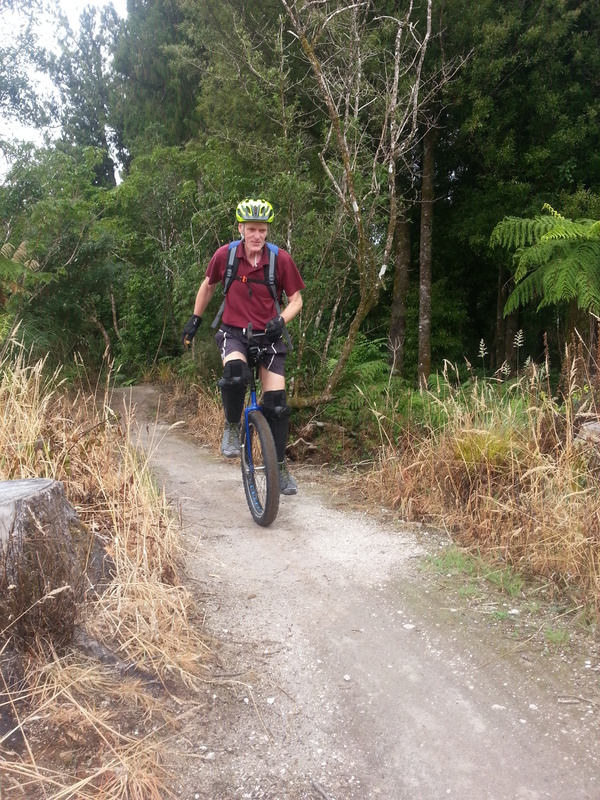 The Timber Trail Wiki Link is a very well known trail on the North Island and is a 83 km off road trail consisting of a long climb followed by lots of twisty single track, swing bridge crossing and switchbacks. The climb tops out at over 3000 ft on Mt Pureora and there was an option to walk to the top (more on that later). As always , I was the last of the competitors to get away from camp. Wayne, Stuart & Jon had left a good while before me, but it was till pretty early and I was looking forward to riding this one! The entrance to the trail head was marked with a Pouwhenua. 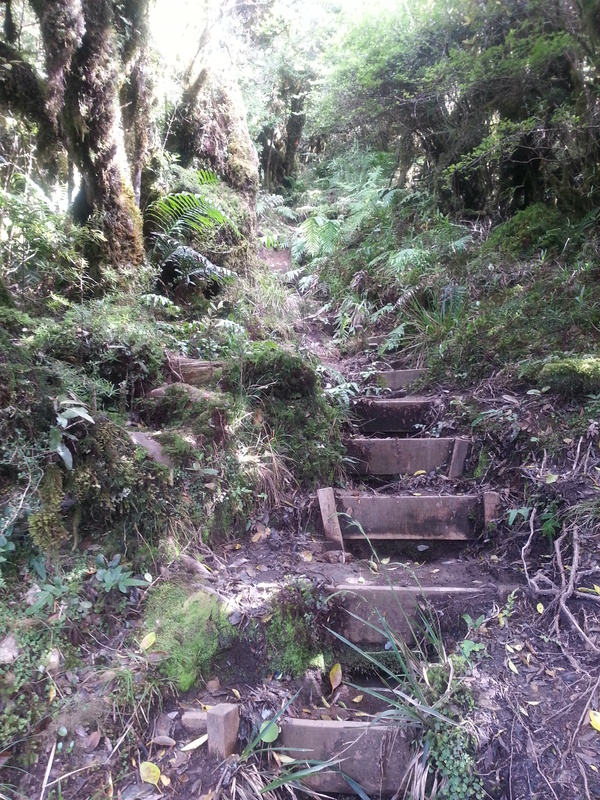 The trail gradually climbed up through native forest and was a series of twist and turns. The forest had a really ancient feel to it with trees covered in moss. After a couple of miles I came to a clearing and couldn’t quite believe what I was looking at! A local guy riding to the summit on a uni cycle. It’s hard enough on 2 wheels I told him, let alone one. The magical trail continued all the way to the summit and it was when I reached the top that I spotted Stu and John’s bikes and a sign giving directions to the summit walk. I parked my bike and headed off up the rough, muddy and overgrown trail. The walking was tough going and at times you really had to watch your footing. The steps that had obviously been put in had collapsed in many places. The photo below makes it look simple, but this was the easy section. The trudging continued for a good 25/30 mins and when I met Stu and John on their way back from the summit and was reassured it was worthwhile detour I pushed on. Eventually, I reached a clearing and I certainly shared their sentiment. 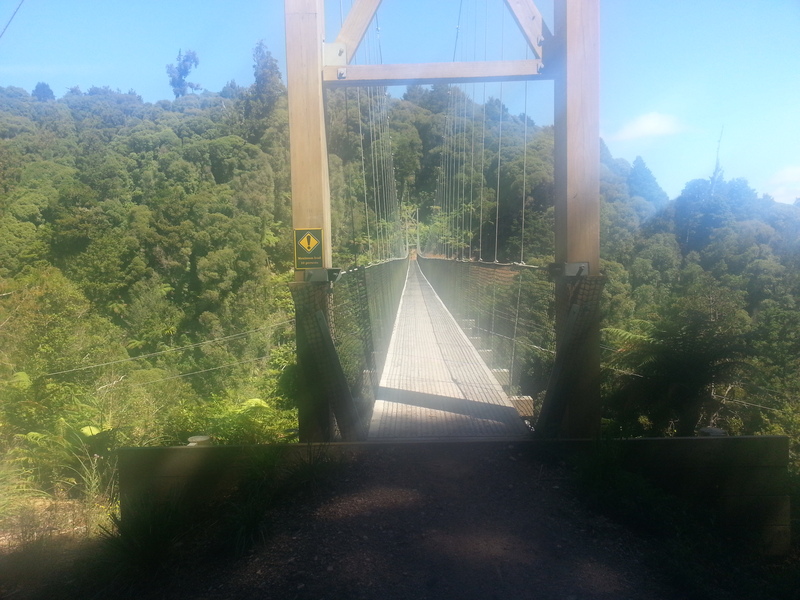 A 360 degree panoramic of the North Island! Back down on the trail and it was now downhill for a good 20 miles. The twist single track just kept coming and it felt like it went on forever. 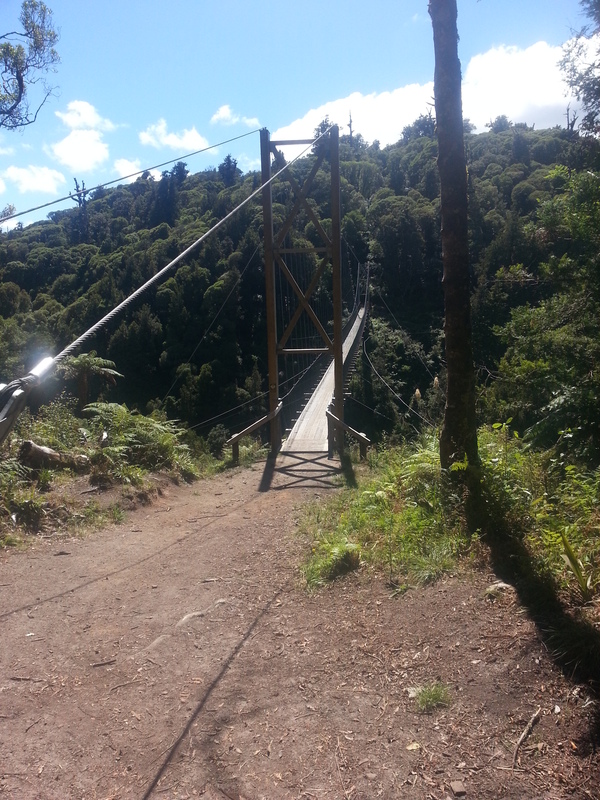 It was towards the bottom that I had to cross another of the impressive swing bridges over the Maramataha River. 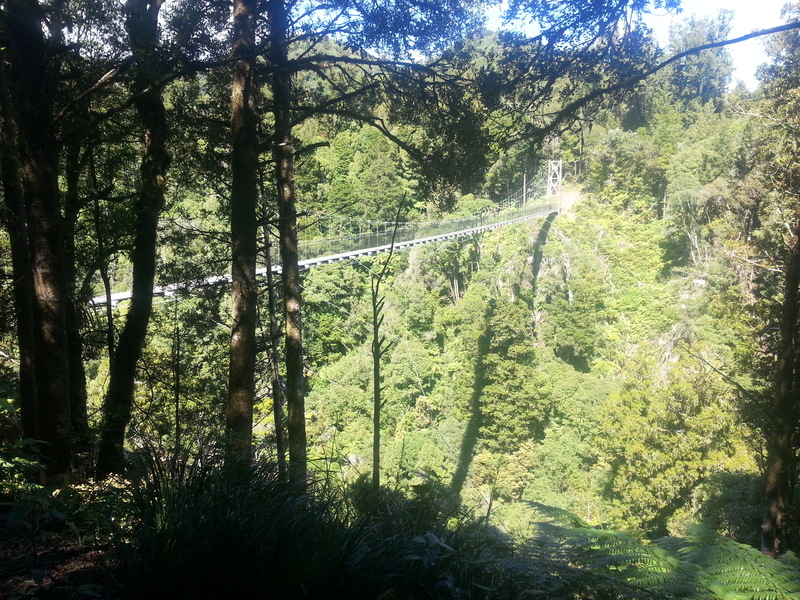 It is apparently one of the longest swing bridges in NZ. 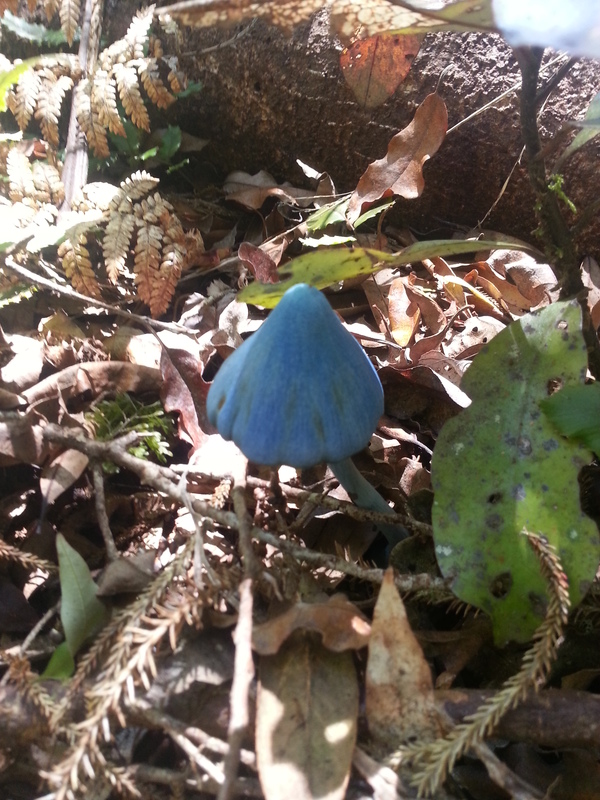 Having crossed the bridge I looked down and saw a magical looking blue coloured mushroom. It didn’t look real and I was expecting to see a fairy popup out too. The downhill track just kept giving, but the closer the trail got to the bottom the more the surface turned from smooth track to a cobbled type surface. This was hard going on the hands. 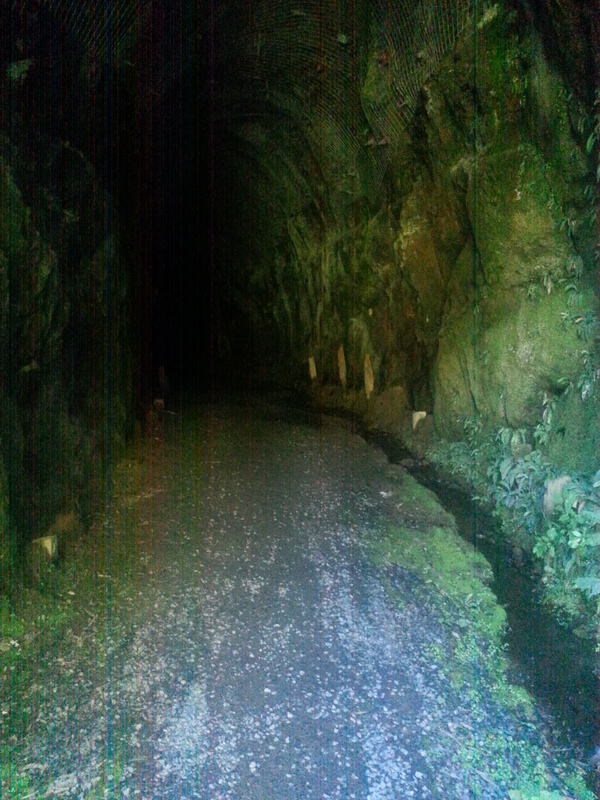 Before reaching Ongarue, the trail then went through a spiral tunnel in the hill. Water was running down the sides of the walls and you could quite easily picture a bygone era when trains were running through the tunnel when the timber business was in full swing many years ago. Having reached Ongarue it was a relatively easy ride along both gravel roads and tarmac to to the town of Taumarunui. Upon entering the town I spotted Wayne and he told me he had checked into a double room at the motel and for $40 I could have the other room. It was a no brainer and a proper bed for the night was well deserved. I was also able to get some gear washed and air the sleeping bags out in the room. Down bags are great, but they do require frequent airing as they get damp very easily.